Lubavitch’s high street premises in Radlett opened with a display of inter-denominational unity. Located prominently in the former Post Office building, the centre offers visitors hot drink and kosher snack options to eat in or take away. They can also browse or buy Judaica and gifts. The premises will additionally be used for after-school clubs and informal courses and discussion groups for children and teenagers. 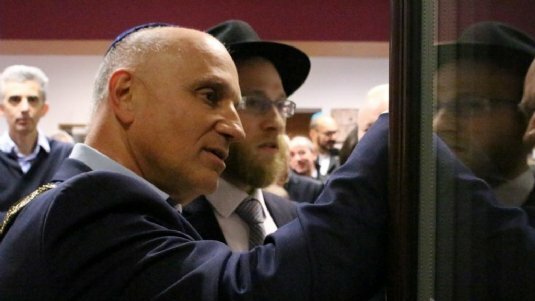 Rabbi Sendy Dubrawsky, who heads the centre, thanked the many people who had helped to make it a reality and said it would “enhance the community of Radlett and beyond”.